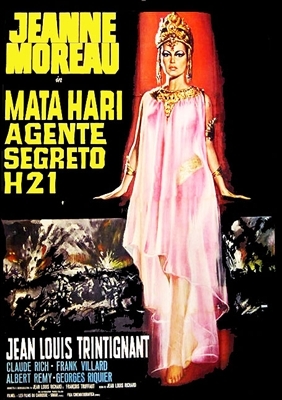 The script was co-written by François Truffaut and Jean-Louis Richard. Moreau was famously Truffaut's muse at the time and Richard was the father of her son. It should be noted that Moreau's performance has nothing in common with the flamboyant melodrama imagined for Greta Garbo in the 1930s. 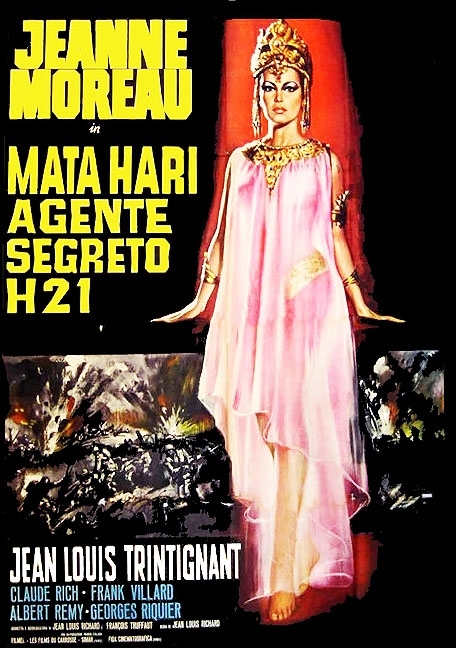 Moreau's interpretation of Mata Hari shows a woman with many faces - fragile and dangerous, pure and diabolical, loving and cold-hearted. This tender and melancholic work follows a human legend who was a victim of circumstances and who, without her knowing it, became a myth. A nicely anamorphic copy, it's a film that's unabashedly romantic (and romanticized), with the two stars in top form. Truffaut wrote the script, and at times, his fans will notice his touches; it's a pity he didn't also direct, but apparently Moreau preferred that her husband helm it. Even though you probably know how the story ends, it's nonetheless compelling to watch.